Summer road trip first aid kit-must haves! Summer is a great time to stock up on various bandages as well as antiseptic pads for your first aid kits. Your local stores usually have discounts on themed band aids which are fun for the kiddos and ease the pain just as much as a healing kiss! It’s a good idea to make two kits. A larger one for the car and a smaller, travel size, to carry in your back pack during hikes or bike rides. Most items can fit inside a regular toiletries pouch and are usually water proof. Your care team at NOAH recommends your first aid kits contain a few ‘must haves’ as you pack for the next road trip this summer. An index card with important information on it such as your NOAH office phone number, doctor name and medical insurance information. Kid-formulated pain relief and antihistamines. If your family has seasonal allergies, you may want to add any over-the-counter medication that your NOAH Care Team has recommended. An instant ice pack offers quick relief when your child takes a tumble or is stung by an insect, cooling their area and decreasing swelling. Tweezers. Those pesky wood splinters or bug stingers will not ruin your summer vacation if you keep tweezers in your first aid kits. You become an instant super hero, relieving the biggest ouch! Sunblock. Stock both the cream and spray with an SPF of 30+ in both kits. This acts as a friendly reminder to reapply, especially after a swim or hike. If traveling where it’s hot outside, opt for the non-aerosol cans to avoid heat related issues. Bug Spray. Stock your kits with bug spray, especially if you are going on a camping trip or a walk in the woods. If you are traveling where it’s hot outside, opt for non-aerosol cans to avoid heat related issues. A few other items to keep in your first aid kit include disinfecting wipes and antibiotic ointment. Make sure you have your tire pressure and AC checked prior to long road trips and wear sun protective clothing such as hats and sunglasses. Stay hydrated with plenty of water packed in an iced cooler. 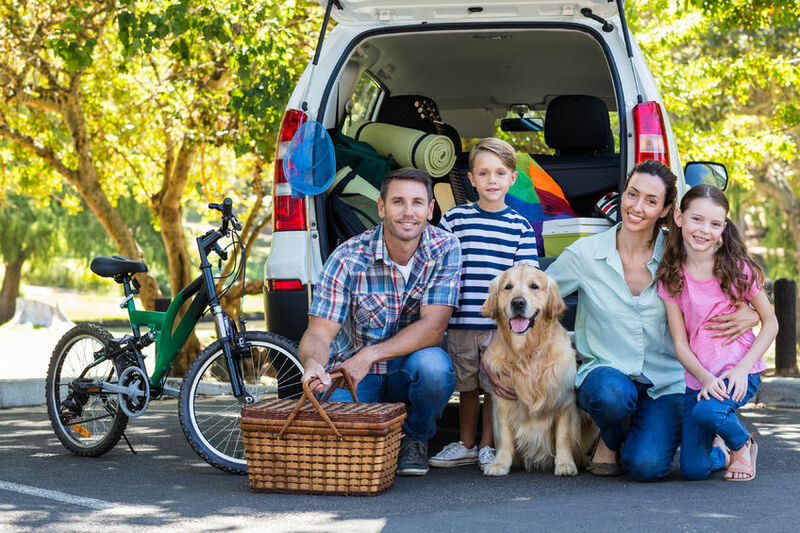 Being prepared will ease anxiety and help you cherish summer road trips, creating happy memories for years to come.